File Damage or hangs AutoCAD. Error message during opening or working in the file. many commands do not work . Third-party applications running inside AutoCAD. 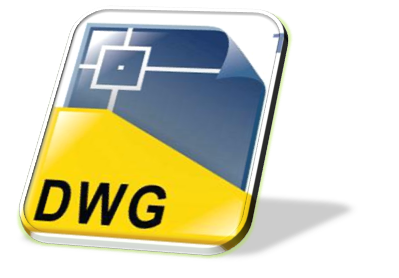 DWG files created or saved by non-Autodesk or non-RealDWG products. AutoCAD terminated while saving the drawing. Old drawings used repeatedly over the course of years. Network anomalies (transmission errors, file locking, latent writing of data). Storage media degradation (bad sectors on a hard drive). Use the following instructions to clean, repair, and recover your drawing. Your drawing may show the message "Drawing file is not valid," display a message about errors being found, hang or crash during the open process, or simply may not appear in AutoCAD after you have selected to open it (i.e., you open it but all you ever see is the default "Drawing1.dwg" or another file that you currently have open). Refer to Error: "Drawing file is not valid" when opening a file in AutoCAD if you receive the "Drawing file is not valid" error when opening the DWG file. You might have leftover .dwl or dwl2 files in the folder directory. These are two hidden files that have the same name as the .dwg file but with the extensions .dwl and .dwl2. In the Windows Control Panel, go to Folder Options. On the View tab, turn on the option to show hidden files. You can then go back to the folder directory and delete the .dwl and .dwl2 files if they are found alongside your DWG file. Attempt to open the DWG again. If neither of the above options allow you to open the DWG, move on to the next set of steps. These steps can be tried one at a time. Be sure to stop and try to open the file after each one. If the file opens, there is no need to continue to the rest of the steps. Open a blank Drawing and run the RECOVER command. Select the affected file. AutoCAD will try to recover the file and open it. Open a blank Drawing and run the RECOVERALL command. Select the affected file. AutoCAD will try to recover the file and open it. Open a blank Drawing and run the INSERT command. Select the corrupted file and see if it will insert. If it does, then run EXPLODE and select the inserted block. Run AUDIT and PURGE commands, and then use SAVEAS to create a new Drawing. Look in the same directory where the DWG resides and see if there is a BAK file of the same name. If so, rename the BAK extension to DWG and see if the file can then be opened. Look in C:\Windows\Temp for files with an SV$ extension. If any exist with a similar name to the corrupted DWG file, then rename the extension to DWG and see if it can then be opened. Go to your backup system and restore the file from a time before it became corrupted. "R" for Regapps (registered applications), then Enter. "N" when asked to verify each name to be purged, then Enter. 3.Type PURGE at the command line. With all checkboxes checked on, click Purge All. Type AUDIT at the command line. "Y" for Yes to fix any errors, then Enter. Make sure all layers are on, thawed, and unlocked. Detach all external references (XREFs). Double-check that the xrefs do not have circular attachments. Type WBLOCK at the command line. Under Objects, click the "Select objects" icon. Use a selection window to choose only the necessary objects from the file (do not simply type ALL). Set file path and name, then OK.
Open a new blank drawing file. Type INSERT at the command line. Uncheck "Specify On-screen" and check "Explode", then OK. Type PURGE at the command line. With all checkboxes checked on, click Purge All. AUDIT and fix any errors. Type SAVEAS and create a new file name. Take the following steps. They can be done in any order, but have been listed in the order that Autodesk recommends. The file can be checked after each step. If the problem is resolved, you don't need to continue. ​Open a blank DWG and type RECOVER at the command line. Browse to the problematic file to allow AutoCAD a chance to restore the file. Type OVERKILL at the command line, and select all objects. Check or uncheck properties to include or ignore, then click OK. Type DELCON at the command line, and select all objects. Type -SCALELISTEDIT, then "R" for reset, then "Y" for yes. Type FILTERS, then click on the 'delete filters' button. The DGNPURGE tool can be run if the file size is unexpectedly very large . Try using a different version of AutoCAD to open the drawing, such as AutoCAD 2013 vs. AutoCAD 2015 or plain AutoCAD vs. AutoCAD Architecture, etc. Try different computers if available. Open a blank DWG, and try to attach the problematic file as an XREF. If it allows you to attach the file, try next to BIND it to the current file. If that works, run the repair steps listed above. Use the SAVEAS command to save the DWG in an older file format. Attempt to open the newly created file. Export the file to DXF format using the DXFOUT command. Next, open a blank DWG and use the DXFIN command to import the file just created. ​​Create a new layout and if need be, create a viewport. Use CHSPACE to move all the geometry to paper space. Create a new drawing and use the Design Center (ADC) to move the layout from the damaged file into it. Use CHSPACE again to move the geometry back to model space. Restore the original layouts from the bad file using the Design Center. To eliminate all invisible DWG entities select all features that are relevant in the DWG and "Copywith Base Point" these via the clipboard into a new DWG. Make sure you have switched on all layers that contain relevant data.